Hotel Skt. 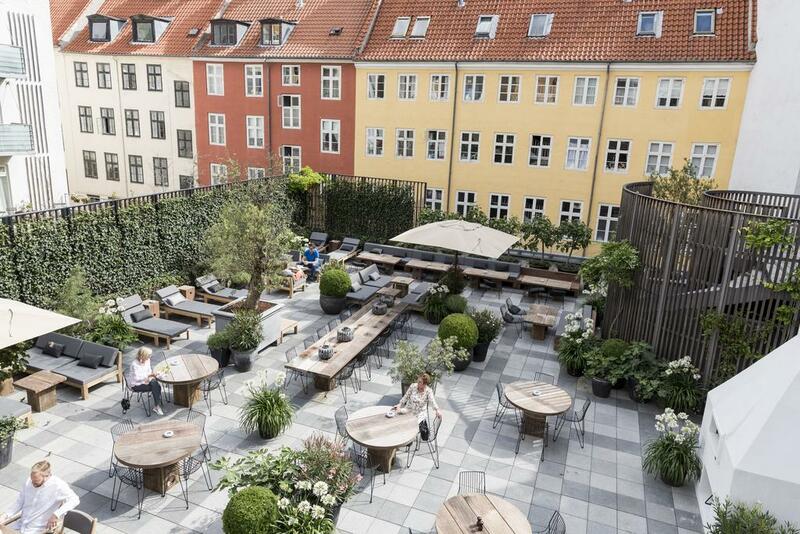 Petri is located in Copenhagen’s lively Latin Quarter, close to many cafes, bars, and shops. This is a convenient central location, with The Round Tower a few blocks away, The National Museum of Denmark within a 10-minute walk, and Nyhavn less than 10 minutes away by bicycle. 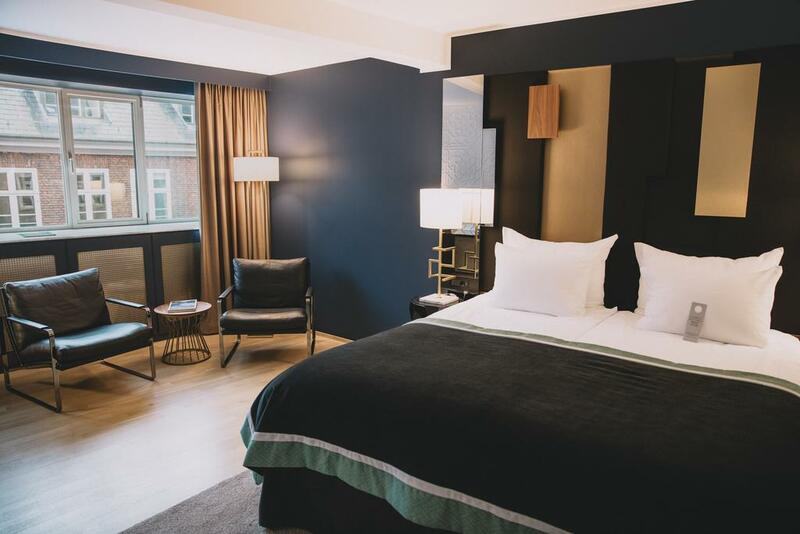 Contemporary Scandinavian design, embellished with vibrant colors and astonishing attention to detail, is featured throughout the 288 guest rooms and suites at the hotel. Furnishings are laid-back and original, including lamps by Portuguese luxury designer Boca Do Lobo. Suites are generously sized, with a sofa area and espresso machine, and some have an individualized theme — including a library suite perfect for bibliophiles and an art suite suitable for art aficionados. 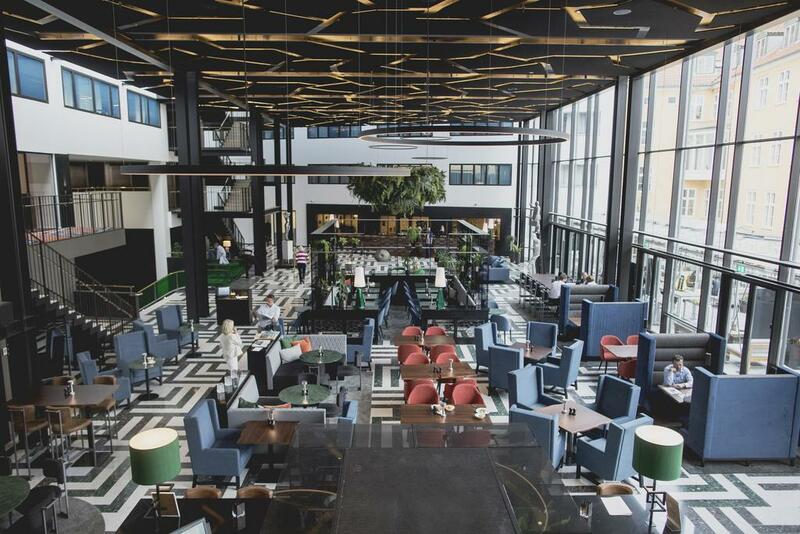 For dinning options, the hotel’s main restaurant has a casual-chic atmosphere and a menu of exquisite small plates and main meals with global influences. Besides, the neighborhood’s hidden gem Garden Courtyard attracts locals and tourists alike with fresh oven-baked pizzas and chilled glasses of wine.